When Better Than Something: Jay Reatard screens at San Francisco’s Roxie Theater on Wednesday, August 17, the theater will no doubt fill with fans of the late Memphis garage rocker and his music. People with little patience for raucous punk rock or who plain haven’t heard of him will stay away from the theater. That’s their loss, because Alex Hammond and Ian Markiewicz’s portrait of a talented musician and big personality is one of the best documentaries to come out this year. It was Reatard himself who set the wheels for a feature-length doc in motion when he hired Hammond and Markiewicz to make Waiting for Something, a short about his life. When he died in his sleep four months shy of his 30th birthday, they already had a wealth of material at their disposal, not only in the extensive interviews they did with him for the earlier film, but also in his prodigious output. His career spanned half of his life and he was prolific, constantly recording (mostly on his own home equipment) and constantly touring, leaving behind a substantial audio and video record. Add to that a memorial show at South by Southwest shortly after Reatard’s death and the recollections of friends, family, and fans and the picture is complete. 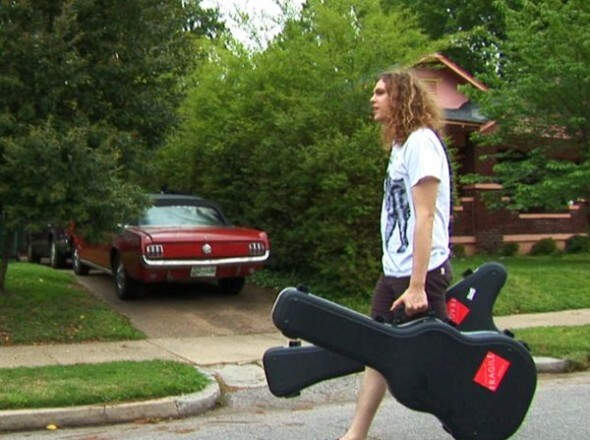 One of the great thing about the documentary is that it is as accessible to someone coming cold to Jay Reatard as it is to his fans The music runs the gamut from his earliest angry teenage years to the gorgeous pop of his final LP 2009’s Watch Me Fall. The video record is just as expansive, capturing the volatile performer at his most explosive and charismatic, whether throwing himself into his performance or its opposite, such as an instance where he angrily stomps off the stage and afterwards throws things at his Lost Sounds band mate Alicja Trout during a show in Chicago. He could be a jerk, but he was a talented jerk – “He never pissed on my record collection,” laughs one of his friends – and he could also be charming and frequently is in the interviews recorded for the short. Better Than Something: Jay Reatard, a co-presentation of Noise Pop and the Roxie Theater, screens at 7:30 & 9:30pm on Wednesday, August 17. For tickets or further information, visit http://www.roxie.com. I think you might want to change the month to August. I’m about to do that. At least the brain freeze didn’t continue to the info at the end of the review.